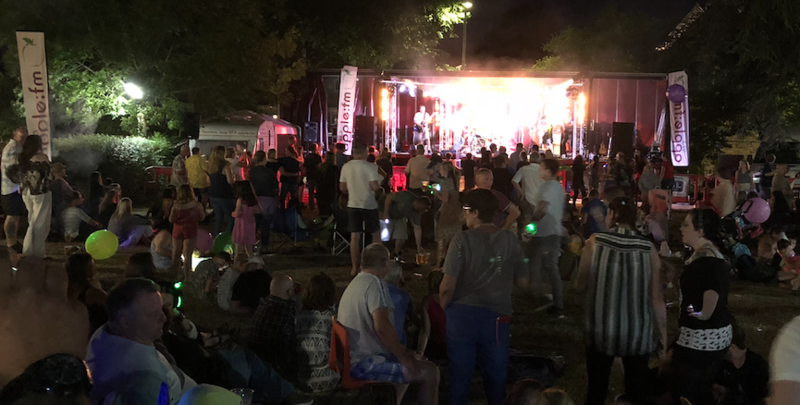 The 2018 annual Rock On The Green took place on 21st July at St Andrews Green and was once again hosted by, and broadcast on, 97.3 Apple FM. In 23 years the event has raised over £100K for local good causes. This year’s good causes were North Taunton St. Andrews Scouts, MINT (mission in north Taunton), Priorswood Primary school and the Children’s cancer ward at Musgrove. The performers this year were The Flamethrowers, The Lampellys, Transporters and Generator. Check out the Apple FM picture gallery from the event here.